With a large variety of hotels and resorts within the island of Boracay, it’s becoming increasingly hard to find that ‘perfect’ getaway stay that’s romantically based. This is because the presence of traveling families has grown significantly over the last few years, which in turn has caused a lot of hotels to offer family friendly accommodations. However, there are several hotel and resorts still that are geared more toward romantic couples and honeymooners. And some still are specifically toward couples. Even so, there is still a large variety to choose from, with some accommodations far removed from the main strip of town, some beachfront and some in between. Some offer rooms with the little extras, calm classic room decor, beautiful private terrace views of the ocean or free massages. However different the resorts below may be, each prides itself on creating a romantic and blissful setting. In addition, each is backed by great reviews, helping to create confident booking. With a number of hotels and resorts offering privacy, relaxation, spa services and romantic settings, it can be hard to choose which one is most fitting. In order to make the decision easier, we’ve combed through all of the current stays available and have picked out the best of the best. To keep everyone in mind, we’ve gathered hotels of different sizes, rates and locations. A uniquely built resort located on Baling-Hai Beach, the Balinghai Beach Resort is a 3 1/2-star resort with 8 different rooms. These rooms each have a different name, adding to the charm. Also adding to the resort’s charm is its nature infused design with wooden decks built right into the lush vegetation throughout the property. Guests will also find a small white sand beach situated between cliffs on either side,offering a nice romantic and private beach setting. Each room features a refrigerator and writing desk along with Wi-Fi. Here you’ll also find 3 different on-site restaurants with different menus, making a run into town for a meal unnecessary. Due to the location of the resort removed away from the hustle and bustle of the main section of Boracay, families tend to stay away, which helps to ensure a lasting romantic vibe. 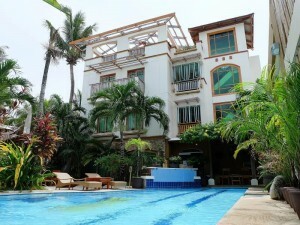 Another plus is the low cost of the resort, which is fitting for those who are on a tighter budget. 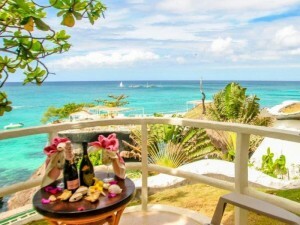 A medium sized 4-star resort, the Boracay Beach Club is romantic in nature with rooms offering a flat screen TV, free Wi-Fi, a walk in shower, mini bar and soft hues throughout. Adding to the romance is an outdoor massage area where couples can enjoy an evening massage before dinner at the resort’s indoor restaurant. Then once dinner is complete couples can enjoy a few drinks afterward at the beach front lounge or full service bar. In addition, guests will find a swimming pool, roof deck and access to the beach, which is right across the street in Boat Station 1. Though families do stay here and there is a family room available, there is enough room on the property to keep a romantic vibe, making it a top choice for couples. Though reviews are a bit mixed, there are lots of people who say they’ll return for a second stay, which is a big deal for a resort that’s slightly removed from the beach. 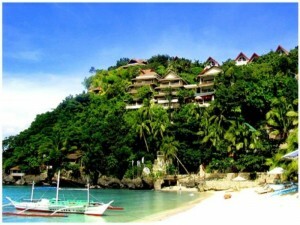 Located near the northern tip of Boracay, the Boracay West Cove Resort is a small resort with 20 rooms spread over a cliff side. Due to its location, you find some pretty impressive views of the ocean and coastline, helping to make this resort very romantic indeed. Each of the 20 rooms feature an ocean view from a private veranda, hot and cold showers, air conditioning, a coffee maker, special toiletries, a mini bar and cable TV. Guests will also find a comfortable queen size bed to relax on. Outside of the rooms, the resort offers a restaurant and bar, travel agent services, massage services, view decks and the opportunity for speed boat rentals. Due to the location away from the hustle and bustle, atmosphere and friendly staff, it is common for guests to return every few years. In fact, reviews go on and on about how well suited the resort is for romantic couples, no matter how long they’ve been together. With reasonable nightly rates, it’s hard to beat. Posh and peaceful in design, Mandala Villas and Spa is located a short walk from the beach, about 10 minutes or so, and is a great choice for couples looking for a romantic, pampering vacation. The name really doesn’t lie as guests are treated to yoga classes, a spa, a sauna, a garden to enjoy, free laundry services, unlimited access to an on-site media library, all you can eat mangoes and a daily breakfast for two. 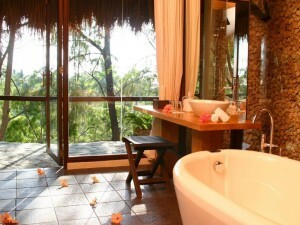 Rooms feature a private outdoor veranda, a personal refrigerator, a mini bar, and a custom made free standing bath tub. Little room extras include an iPod dock upon request, weighing scale, hair dryer, umbrella and a pair of slippers along with a robe. With special extras like free mangoes and a free daily massage, it’s easy to say that the nightly rate is worth it, even if it’s over your budget. Noted as one of the highest rated and best reviewed hotels in Boracay, Monaco Suites de Boracay Hotel is a fantastic choice for a romantic getaway. 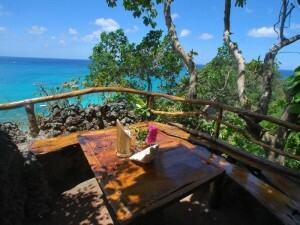 With 50 rooms to choose from, either with 1 or 2 bedrooms, located on Barangay Beach, guests will find a peaceful oasis. Even so, the hotel provides a free shuttle to the D’Mall shopping district, allowing for those staying within the hotel to enjoy some time within the city. Once back at the hotel, guests will find large rooms complete with a king size bed, a bathroom outfitted with a separate shower, a fully fitted kitchen with a bar counter, a separate living room and a private balcony offering a view of the ocean. For those who rather not be completely disconnected from the outside world, Wi-Fi is also available. Though rates can get a bit high during the high season, use of the hotel’s tennis courts, fitness center, swimming pool, jacuzzi, garden and various water sports available make the price well worth it. 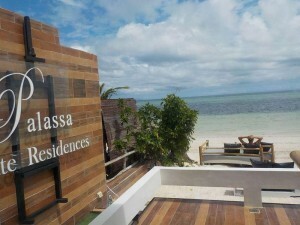 Adding icing to the cake is the presence of Bella Isa Spa, voted number one spa on Boracay Island. Romantically placed on a hill overlooking a quiet, peaceful beach, the Nami Private Villas Hotel is ideal for romantic couples who wish for easy beach access and views. Different from other area hotels, guests will find a few quirky designs that make for a charming stay. 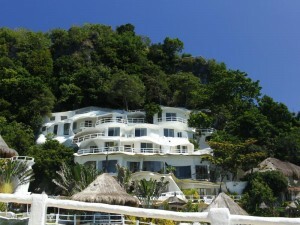 One of those such designs is the bamboo elevator that takes guests from the hotel, down the cliff side and to the beach. In addition, the hotel hosts a rooftop bar, restaurant, butler service, babysitting service and airport/city transports. For those looking to truly relax, spa and massage services are available and are a great way to unwind after a day of water sport fun. There are 12 rooms available in total, with all offering a balcony with a sea view, TV, a mini bar, coffee/tea making area and a king size bed. For those who prefer a cooler room, an in-room air conditioner is available. Though there are lots of activities and a great menu on-site, the hotel is close enough to Boat Station 1 and its restaurants and shops for guests to enjoy easily. With great views, nightly rates and hotel amenities, it’s no surprise that guests often plan on a second visit. With great reviews detailing a friendly staff, good location and beautiful rooms, Palassa Private Residences is a small and well liked resort removed from the hustle and bustle of town, yet close enough for easy in town visits. In all, there are 10 rooms to choose from, each with free internet, a desk, a mini bar and air conditioning. Outside of the rooms, the resort presents guests with a restaurant, spa with massage therapies, a pool, a laundry service and a 24 hour front desk. The resort itself is very clean cut in appearance, with a mixture of light airy decor and colors and dark shades of wood. A romantic vibe is heightened due to the small, peacefulness of the resort, creating an atmosphere ideal for romantic couples. Great nightly rates and strong guests reviews make this resort one of the top chooses for couples with any type of budget. Boracay Island in the Philippines is one of the hottest tropical holiday destinations in the world, and Boracay Resorts Guide is here to help you find the perfect hotel at the best price possible. Known for excellent weather most of the year and some of the most beautiful white-sand beaches in the world, Boracay Island also offers great value, with great resorts at very reasonable prices. If you are looking for a holiday destination completely without traffic and stress, and where you can spend your days barefoot on some of the world's most beautiful sand, you've found it in Boracay Island.